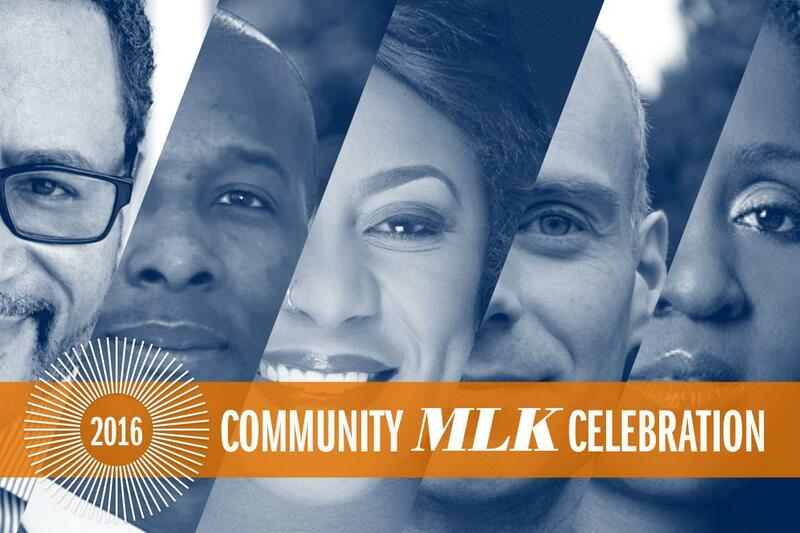 News | Community MLK Celebration, U.Va. White House Correspondent April Ryan will be the keynote speaker for the 2019 Community MLK Celebration in January. The event is presented by the University of Virginia Office of the Vice President and Chief Officer for Diversity & Equity, in partnership with the Frank M. Batten School of Leadership and Public Policy and Lifetime Learning in the Office of Engagement. Joy Reid, national correspondent for MSNBC and host of "AM Joy" and "The Reid Report," will be the keynote speaker for the 2018 Community MLK Celebration in January. Reid is the author of the book Fracture: Barack Obama, the Clintons and the Racial Divide and is former managing editor of theGrio.com. Reid's address is set for Tuesday, January 23rd, 2018 at 6:30 p.m. at the Paramount Theater. The event is free and open to the public, but tickets are required. Ticket reservations may be made starting Friday, December 8th at 10am from www.theparamount.net. On March 21, 1963 the Rev. Dr. Martin Luther King Jr. came to the University of Virginia to speak about civil rights. Wesley Harris (Engr ’64), then chairman of the local chapter of the Virginia Council on Human Relations, was one of the students instrumental in bringing King to Charlottesville. For Harris, the visit was life changing. Years later Dr. William (Bill) Harris served as Dean of the Office of African American Affairs from 1976-1981. On January 23, 2017 at 2:00 p.m., a plaque commemorating Dr. Martin Luther King Jr.’s speech will be unveiled in the auditorium of Old Cabell Hall. Donated by brothers William and Wesley Harris, the plaque will forever be a reminder of the speech that brought Dr. King’s legacy to UVA and Charlottesville. Members of the media are invited to cover the unveiling and should arrive at 1:45 for interviews. Anita Hill, University Professor of Social Policy, Law, and Women's Studies at Brandeis University, will be the keynote speaker for the 2017 Community MLK Celebration in January. Hill is a leader in both the civil rights and women’s rights movements and an expert on the complex and often challenging issues of race, gender, and workplace discrimination in America. In 1993, Hill made sexual harassment in the workplace a national issue when she testified that Supreme Court Justice nominee Clarence Thomas had committed sexual harassment against her. Hill's keynote speech is set for Thursday, January 26, 2017 at 6:30 p.m. at the Paramount Theater. The event is free and open to the public, but tickets are required. THIS EVENT IS SOLD OUT. THE DAY OF THE EVENT, ANY UNCLAIMED TICKETS WILL BE RELEASED AT 6:20 PM AT THE DOOR TO PATRONS IN THE STANDBY LINE. The event “Black Lives Matter” featuring Alicia Garza on February 26th was cancelled at the request of the agency representing the speaker due to scheduling conflicts. The University of Virginia was notified of the cancellation Tuesday morning. The lecture was originally scheduled in January as part of the 2016 Community MLK Celebration and was postponed due to inclement weather. At this time there are no plans to reschedule the event again. The event time for “Black Lives Matter” by Alicia Garza at Old Cabell Hall on February 26th has been changed to 7:30 p.m. in order to accommodate a change in Ms. Garza’s schedule. Doors will open at 6:30 p.m. This change was unavoidable and we do apologize for any inconvenience. If you are a ticketholder who is now unable to attend, please email tickets@email.virginia.edu to release your ticket or tickets. Keynote Event Rescheduled to February 26th: Alicia Garza, "Black Lives Matter"
Alicia Garza, social activist and co-creator of the viral hashtag and movement #BlackLivesMatter, will speak at Old Cabell Hall on Friday, February 26th at 6 p.m. This event was originally scheduled on January 25th and postponed due to inclement weather. Free tickets can be reserved online now and picked up in person at the U.Va. Arts Box Office (located within the lobby of the Drama Building at 109 Culbreth Road) Monday through Friday from 12 p.m. to 5 p.m. Any remaining tickets will be available at the door. This event is presented by the Office of the Vice President and Chief Officer for Diversity & Equity, in partnership with the Frank Batten School of Leadership and Public Policy. Due to expected inclement weather, Community MLK Celebration events that were scheduled for January 22-25 have been cancelled or rescheduled. 1/23 - Exhibition Opening Reception on the Danville Civil Rights Movement - RESCHEDULED to 1/30, 6-8 p.m.
1/24 - 31st Annual Community Service at Mt. Zion FABC - RESCHEDULED to 1/31, 5 p.m.
1/25 - Keynote Address by Alicia Garza - CANCELLED - To be rescheduled this spring. At this time, there are no other changes to the event calendar. Check back for updates. UVA Commemoration to Explore MLK's "Call to Higher Ground"
Honoring the life and legacy of Rev. Dr. Martin Luther King Jr. will bring together University of Virginia and local community members in the coming weeks. Read more here. The Martin Luther King community choir has started rehearsing for this year's MLK celebration day. The choir held its first practice at Mount Zion first African Baptist Church in Charlottesville. Hundreds of people from the University of Virginia and surrounding communities gathered at more than 30 events over several weeks in January and early February 2013 to discuss and celebrate the legacy of Rev. Dr. Martin Luther King Jr.
Watch the highlight video from the 2013 Community MLK Celebration.